This Easter weekend - buy the Action Movies bundle for 35% off, and you'll get Moviestorm for life for less than the price of a one-year license. 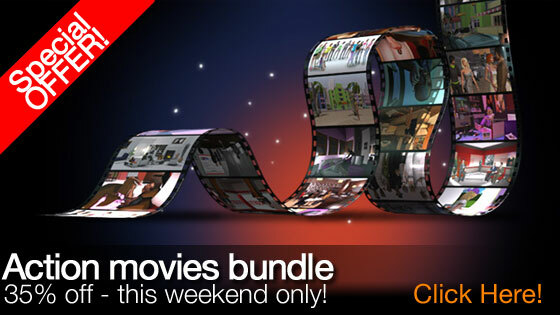 That's under $50 for a complete movie-making suite plus the modder's workshop and 11 extra content packs! Use coupon code KABLAM at the checkout - applies to both online and box purchases. If we already have the offer content packs, or some of them, can alternatives be given? I wonder if it'll matter once the weekend is over. You know you possibly won't get an answer to that until its to late for it to help you. Damn! Global warming...MovieStorm holidays...I always get those two confused.